These cards are made of a Synthetic Paper and feature a color bar with a printed title. 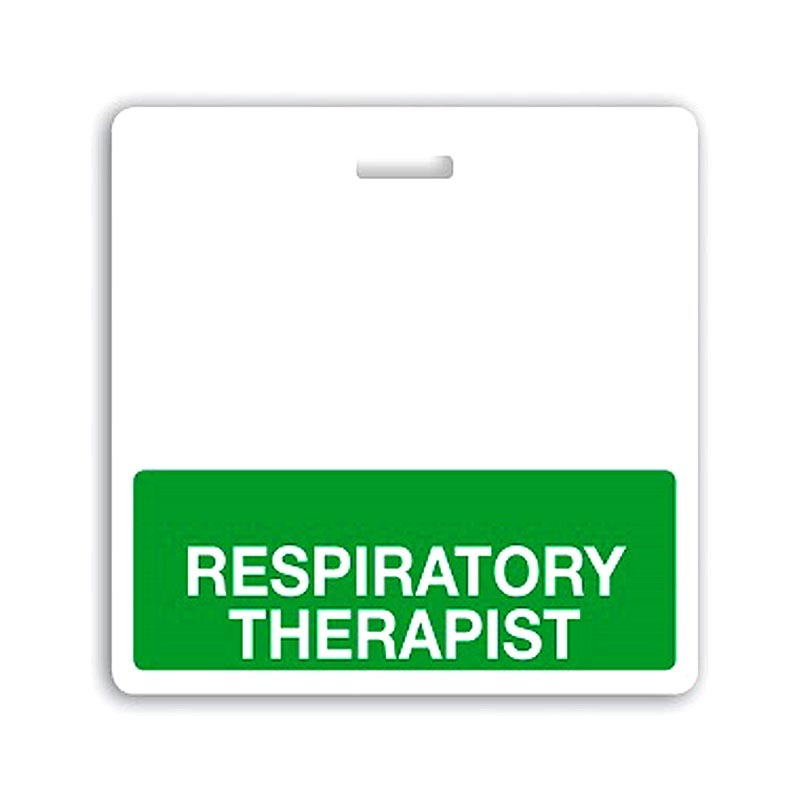 These are Badge Buddies for respiratory therapists, featuring a green bar and printed white text. 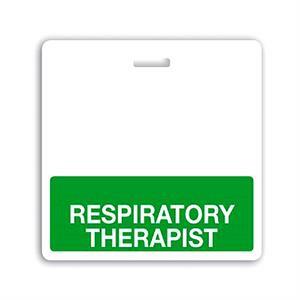 Badge Buddies attach to an existing credential with a strap clip, badge reel or lanyard to become a complete ID solution. In some states, like Pennsylvania and Texas, Badge Buddies can be used to satisfy state healthcare ID requirements without issuing new badges to all of your staff.